Raúl Nieto Guridi was born in Seville, Spain, in 1970, the son of a draftsman and a painter, and trained at the Academy of Fine Arts of Seville. Early in his career he concentrated on painting and graphic design, but starting in 2010, he turned to illustrating children's books, and has since written or provided illustrations for more than thirty books. Among the works he has illustrated available in English are The Day I Became a Bird, The Last Tree, and A Drop of the Sea by Ingrid Chabbert; Relaxations by Mamen Duch; and No Water No Bread by Luis Amavisca. Asked in 2010 about his dreams for the future, Guridi responded, "to illustrate all the stories I'd love to tell and to tell all the stories I'd love to illustrate, to be loving to those who light up my life day after day, and to be happy and to make them happy, which to my mind are one and the same." 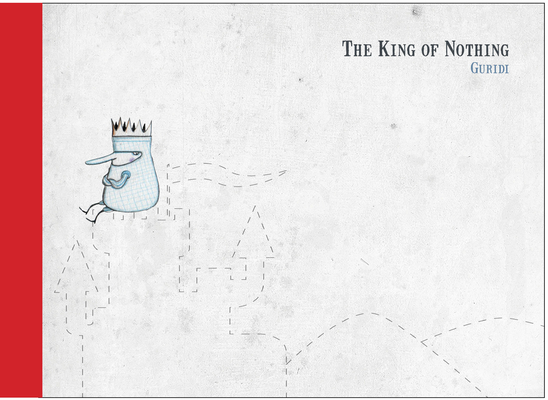 The King of Nothing is the second book Guridi has both written and illustrated that has been translated into English. Saul Endor is a translator living in Brooklyn, NY.